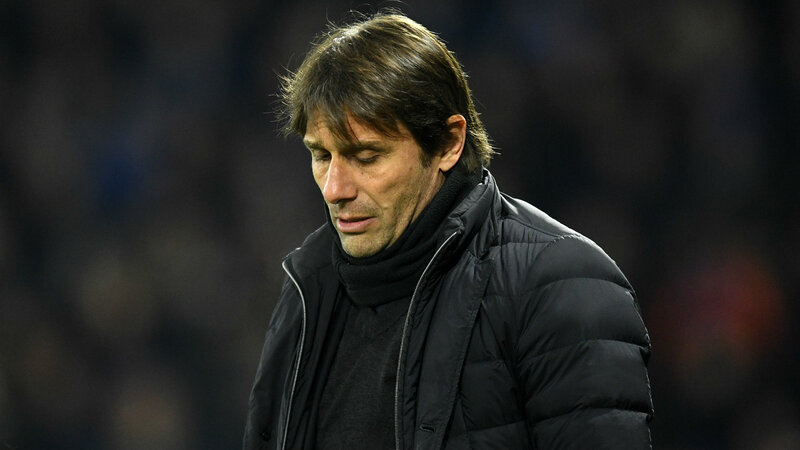 Antonio Conte once again hinted at dissatisfaction with Chelsea's transfer policy ahead of Sunday's trip to runaway Premier League leaders Manchester City. Pep Guardiola's side are firmly on course to unseat Chelsea as champions, holding a 16-point advantage over Manchester United at the summit, with Conte's men now embroiled in a scrap to finish in the top four. Speaking at a pre-match news conference, Conte's inference when discussing the winning combination of a top coach and significant spending power at the Etihad Stadium was not subtle. Asked whether his own club had the ambition to match City, the Italian turned the focus on the Stamford Bridge board. "I don't know. This is not a question for me," he said. "The club has to show the ambition, not the coach. The coach has to work every day very hard. "The club has to show the ambition." Guardiola spent in excess of £200 million during the close season following a trophy-less initial campaign with City. Conte also spent heavily on the likes of Antonio Rudiger, Tiemoue Bakayoko and record signing Alvaro Morata but Chelsea recouped the majority of their outlay in sales. "I think from last season Manchester City was always a fantastic team but, after one season, the manager tried to improve the quality of the starting XI, to improve the quality in his squad," Conte said, before jarringly identifying "a great feeling between the manager and the club" at City. "Sometimes it is very difficult to find a weakness in this team," he continued. "I think that when you work very well, and there is a great feeling between the manager and the club, you can work in the way that you want and try to improve your club in the best way. "Manchester City has the possibility to spend a lot of money and when you link these two situations – a good manager and much money to spend in the transfer market – this is the overall result. "For sure, they will be better next season. They have the possibility to spend money to improve the quality of the starting XI and to improve the quality of the squad." Nevertheless, the former Juventus boss again rejected suggestions he will return to his old post with the Italy national team, having been touted for the Azzurri role this week. "I think I have already answered on this question and nothing has changed compared to the past," Conte added. "Especially my answer. That didn't change."